New Tinted Hard Top Side Window Glass for 1966 to 1977 Ford Broncos. This glass fits either driver's side or passenger's side. Glass allows 53% of the light in. Check with your local and state laws to ensure this tint percentage is legal in your area. 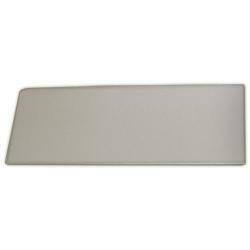 Provides excellent glare reduction and helps to protect from harmful sun rays. This glass is tempered to meet DOT safety standards. 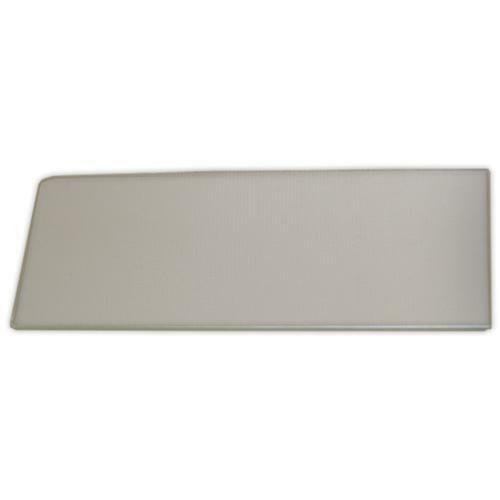 Our OE quality quarter window glass is a direct replica of the original size and shape of the original glass, so it fits the Bronco hard top and side window gasket perfectly. 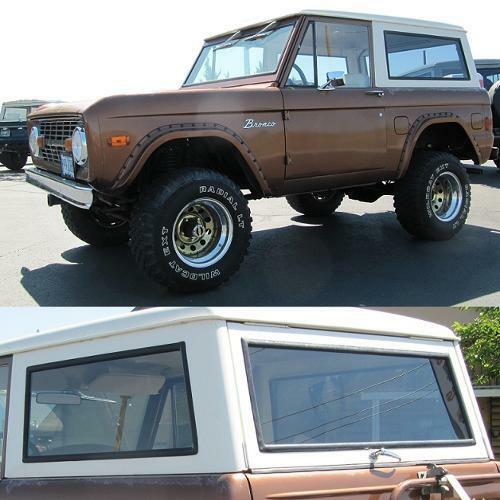 1966 Ford Bronco Window Glass, 1967 Ford Bronco Window Glass, 1968 Ford Bronco Quarter Window Glass, 1969 Ford Bronco 1/4 Panel Window Glass, 1970 Ford Bronco Hard Top Side Window Glass, 1971 Ford Bronco Roof Side Window Glass, 1972 Ford Bronco Hardtop Window Glass, 1973 Ford Bronco QP Window Glass, 1974 Ford Bronco Side Panel Window Glass, 1975 Ford Bronco Rear Side Window Glass, 1976 Ford Bronco Roof Cap Window Glass, 1977 Ford Bronco Topper Side Window Glass.